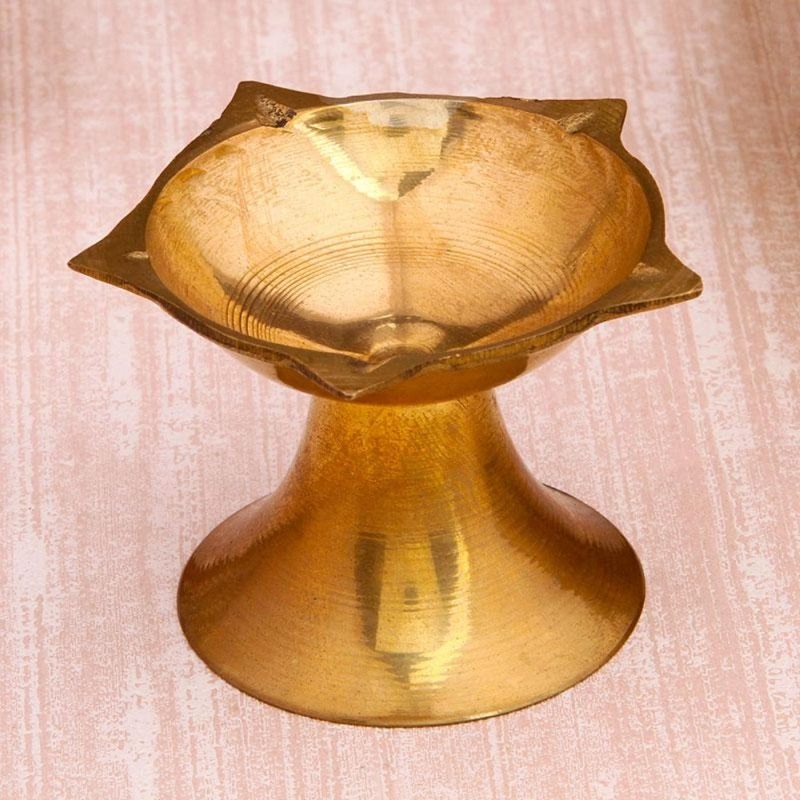 Bass metal golden diya for mandir for daily puja. This item in Hindu Puja Items category was first added to our catalog on 11-04-2017. 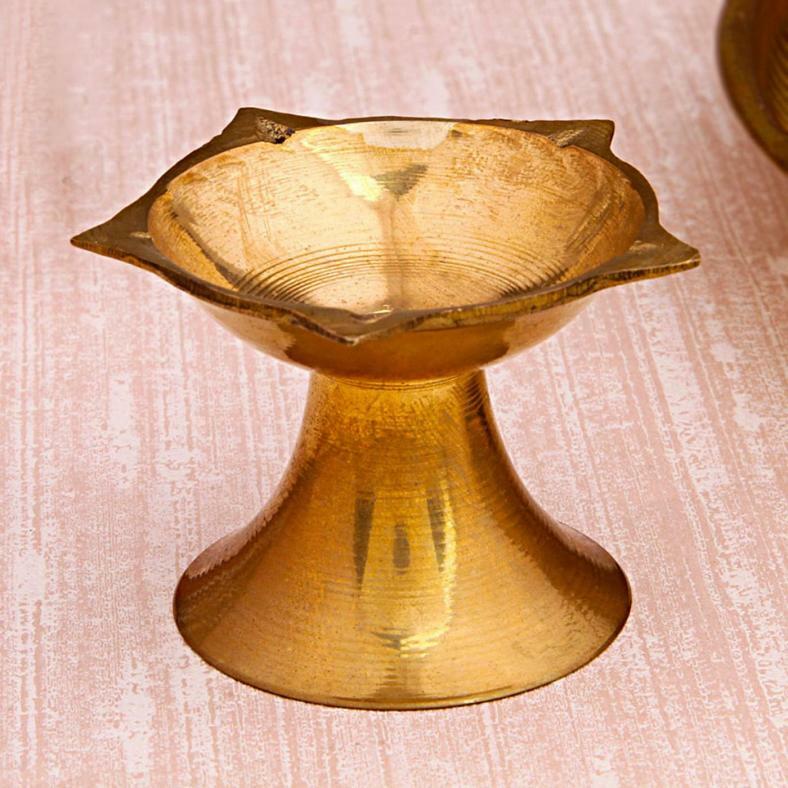 Buy Divine Golden Brass Metal Diya, sold & shipped by IGP where you can shop online for Exclusive Collecton of Indian Handicrafts, Festival Items & Ethnic Gifts. This Brass Diya collection has been tagged as puja samagri, pital ka deepak, pooja ghar accesory, diwa, deepak, deepam.